Pitch-side at Doha’s sweltering Abdullah bin Khalifa football stadium, coach Felix Sanchez barks instructions at his Qatar under-23 team. “Out of here!” he screams as his players run the ball into a channel filled with Palestinian defenders. “Yalla shabab!” he shouts in Arabic. “Let’s go, lads!” He shakes his head, fuming, as football coaches do. It is late September and an early-round tie of the West Asian Cup, in front of no more than 200 spectators and against a poor opposition, in more ways than one. Three of Palestine’s players, from Gaza, have hardly played with their West Bank-based team-mates, because it is so difficult for them to travel through Israel. They are a tough-tackling bunch. Sanchez’s players, by contrast, are hothouse flowers: the carefully groomed sons of the small Qatari middle class, who lack for nothing when it comes to coaching, facilities and preparation. 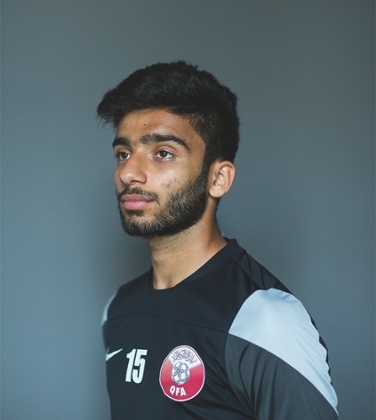 Marshalling the Qatar defence is the captain, Musaab Khidir, a charismatic 22-year-old with braces on his teeth and light-footed poise. 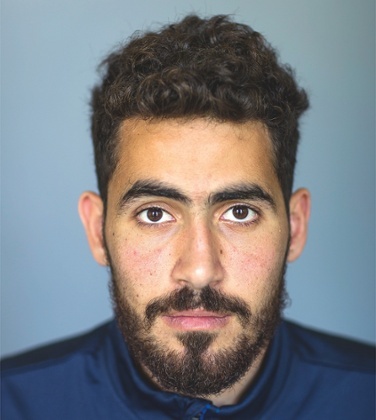 In midfield is Ahmad Moein, the 19-year-old fulcrum of the team, a player who models his passing game on videos of former England star Frank Lampard. In an otherwise empty stand, three Palestinian fans resolutely wave their national flag as their players wilt in the 30C evening heat and Qatar ease to a 3-0 win. Even against mediocre opposition, you can understand Sanchez’s urgency. The former youth coach at Barcelona FC’s La Masia academy, which has turned out superstars such as Lionel Messi, is now in charge of a squad expected to form the core of the side to play in the 2022 World Cup in Qatar, perhaps the most controversial global sporting event since the 1980 Moscow Olympics. Back in 2010, when Fifa’s now-suspended president Sepp Blatter shocked the world by announcing Qatar as hosts, the country qualified for its own tournament automatically. Unless it upsets the form book by qualifying for the next tournament, in Russia in 2018, it will become the first host nation in history never to have been good enough to reach the World Cup finals under its own steam. This all comes against a background of bribery scandals, and international outrage over the country’s treatment of migrant labourers. This is the inside story of Qatar’s extraordinary football experiment, as it tries to find out if it is possible to buy its way from a world ranking of 112 (when it was awarded the hosting rights) to world-class status by the time the tournament comes round in November 2022. Succeed, and Qatar could boost its soft power on the global stage and spark a football boom in the Middle East. Fail, and the nation’s rulers face embarrassment in front of a television audience of more than a billion. Sanchez and his young players have a lot resting on their shoulders. Qatar’s huge gas and oil reserves have, in the space of just four decades, taken it from a Persian Gulf backwater known for pearl diving and fishing to the richest country on Earth per capita. The nation’s ruling family, the Al Thani clan, has decided to pour cash into football in the hope that it will prove a passport to international credibility, as well as building a new sense of national identity and purpose. The best players, coaches, sports administrators and stadium architects are being flown in from around the world. To many, it makes no sense. It is far too hot to play football for most of the year, when temperatures can hit extremes of 50C. When it comes to assembling a team, the nation of no more than 400,000 Qataris has very little talent to choose from. There are fewer than 7,000 registered players, compared with three million in Spain and six million in Germany; the Solomon Islands have more players than Qatar. Zico, the Brazilian who played in three World Cups, has called for Qatar to be stripped of the tournament, because “they don’t have football”. From the outset, the project has been buffeted by major scandals; however successful the country’s preparations, it may always be seen as the cup that shouldn’t have been. In 2013, the Guardian reported that 44 Nepalese labourers had died at work on building sites in Qatar in the space of just two months. The following year, it was revealed that workers on a World Cup stadium designed by Zaha Hadid were earning 45p an hour. Around the same time came allegations of multimillion-dollar bribery in the bidding process, involving the Qatari Fifa vice-president Mohamed Bin Hammam. Leaked documents suggested he paid $5m (£3m) in cash, gifts and legal fees to senior football officials. Qatar’s 2022 organising committee argued that Hammam had nothing to do with their bid – that he had been building support for his own tilt at the Fifa presidency. After an internal investigation of the combined bidding process for the 2018 and 2022 World Cups, Fifa agreed in November last year that Hammam had no formal role within the Qatar 2022 bid team, and that his actions had not compromised the process. Yet questions remain. Michael Garcia, the US lawyer who conducted the investigation for Fifa’s ethics committee, has since resigned, complaining that the limited summary of his report published by Fifa contained “numerous materially incomplete and erroneous representations of facts and conclusions”. 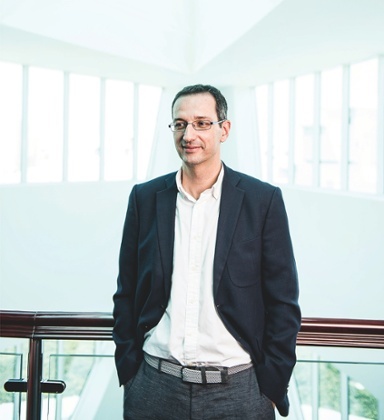 In June, Swiss investigators said they were looking into 53 possible cases of money laundering, and 121 incidents of suspicious activity in Swiss bank accounts. The head of Fifa’s audit and compliance committee, Domenico Scala, has said there could be a re-vote if clear evidence of bribery emerges. Until then, Qatar’s grand project rolls on. Drive around Doha (hardly anyone walks – it is far too hot) and you can spot the outline of an emerging football culture. New UFO-shaped football stadiums are sandwiched between dusty shopping malls and gated villa communities: some are for local club sides, and are far too big for their meagre fanbases; others, like the Norman Foster-designed 86,250-seat Lusail stadium, are for the World Cup final. Qatar is pouring money into the World Cup project almost as fast as it bubbles from its oil and gas fields: a staggering $200bn will go into infrastructure, including a new rail network, hotels and roads ahead of the tournament, dwarfing the £9.3bn the UK spent on the 2012 London Olympics. 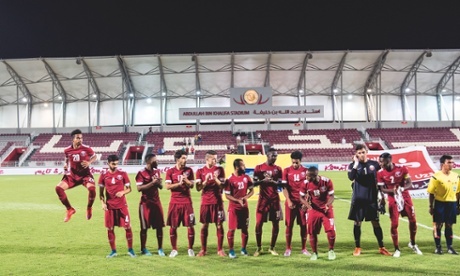 But look closer, and other parts of Qatar’s new football culture are a desert mirage. Sanchez’s team perform in front of almost empty stands; so few people want to watch club matches that low-paid migrant workers from Africa and Asia are bussed in, in their thousands, to fill empty seats. When I arrived at a match in the Qatar Stars League, the top-flight competition, the first thing I saw was a Kenyan pulling on a traditional white gown. He and his friends said they were among hundreds paid the equivalent of £5 to dress up as Qataris, fill a seat and have a stab at singing football songs in Arabic. When asked, the league said it doesn’t pay for fake fans and doesn’t condone the practice; clubs do, however, pay entertainers “to create an atmosphere”. This is another irony: the vast majority of Qatar’s population is excluded from the footballing side of the World Cup project. More than 1.8m residents (about 80% of the population) are migrant workers, mostly labourers from south Asia and Africa, earning salaries of around £10 a day while living in basic, sometimes squalid, labour camps on the city fringes. These people, many of whom love football and play when they get the chance, cannot become citizens. Rather than being the people’s game, football in Qatar is the game of the minority elite. The engine room of the 2022 project is the Aspire Academy, a kind of sporting Hogwarts on the fringes of Doha, founded by the Emir in 2004. This is where 240 Qatari children live, learn and train to become top footballers, swimmers and athletes, their fees paid for by the state. Beneath a blue dome on a full-sized, air-conditioned pitch, training is overseen by experienced coaches from the Spanish, German and English leagues; outside, children play on half a dozen international-standard, extravagantly irrigated outdoor fields. Pele and Maradona are among ex-players to have been flown in to help; the goalkeepers have received coaching from the Spanish and German internationals Iker Casillas and Manuel Neuer. Almost everyone in the current under-23 squad attended Aspire, which means that Qatar’s World Cup side will essentially be an old boys’ team. As for Spain, so for Qatar – or that’s the theory: that sport can unlock international status and domestic self-confidence. But because Qatar has so few citizens, it cannot rely on what Bravo describes as “Darwinian” selection, where only the hungriest and most competitive reach the top. 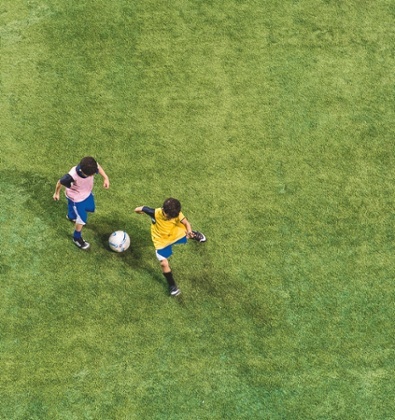 Qatar runs an ambitious foreign scouting programme, Aspire Football Dreams, which screens around 500,000 children a year from west Africa, central America and south-east Asia. The best few are offered the chance to train at the academy in Doha, and at another in Senegal. Instead, they hothouse Qatari boys. Aspire Academy scouts scour every primary school in Qatar for talented children as young as six, inputting every child’s level of skill into a database. Around the age of 11, they select 400 children for pre-Academy teams, offering 25 scholarships a year. These children are on site for 10 hours a day, to fit in two training sessions, plus lessons including English, Islamic studies, Spanish, French, maths. The older ones stay overnight in what feels more like a business hotel than a boarding school. The walls bear the school motto, “Aspire today. Inspire tomorrow.” When the boys graduate, they wear special blue capes emblazoned with silver-and-gold angel wings. 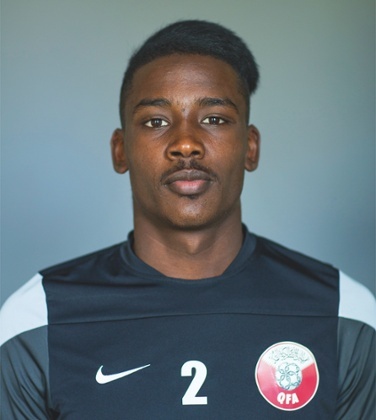 The current under-23-team goalkeeper, Muhannad Hussein, 22, who at 6ft 1in is one of the few Qataris tall enough to play in his position, is an Aspire graduate. Focused and polite, he says he was eight when he first kicked a ball in the school playground not far from his home in Duhail, an affluent north Doha suburb, where he lived with his mum and his dad, an IBM computer engineer. Within a couple of years, his teacher spotted his talent and suggested he join a club. It was 1999, and football meant little in Qatar, which was becoming rich with the gas boom but was still socially conservative. Decent adolescent players spotted by local clubs are given signing-on fees and even weekly cash sums just for showing up for training, a practice Bravo fears “takes away the hunger” that makes great players. I was told some 21-year-old Qatari players can earn as much as $300,000 a year, with wages rising to $800,000. Maintaining players’ commitment and drive is hard when the usual threat of bringing in the next best player doesn’t apply: there are no next best players here. And there are signs of worry creeping in. After Nepal managed to qualify for next year’s under-16 Asian championships, and Qatar failed, local sports newspaper Doha Stadium Plus warned: “Something is not right in the way [the teams] are being groomed.” A senior Aspire coach was quoted as saying, “Football isn’t just about facilities, it’s also about luck and hunger to do well.” Tellingly, the team that eventually knock Sanchez’s under-23s out of this autumn’s West Asian Cup, winning 2-0 in the semi-final, are from war-torn Syria. Mottram Hall hotel in rural Cheshire is the kind of place footballers go when they’ve already made it. Sir Alex Ferguson is honorary captain of the golf club; the spa is popular with the wives of players at the local Premier League clubs. In early September, it is also base for a training camp for Sanchez’s team. The 2022 hopefuls arrive having just spent a few weeks training in Switzerland, to escape the heat of the Qatari summer, and have made themselves at home. Some take an afternoon nap while Arab pop music drifts out across the golf course from other players’ bedroom windows. After training, a couple of the players sit down and reveal the flipside of their money-no-object world: huge pressure. Four weeks later, Sanchez and his squad are back in Qatar, and they have just got their hands on a secret weapon. Already, they have a lavish backroom support staff that would make their rivals jealous, including a nutritionist, a masseur, a doctor, a recovery specialist, two physiotherapists, two kit men, a video tactician and three coaches. But on a sticky evening, as they train in the shadow of cranes erecting the 40,000-seat Khalifa International stadium for the 2022 tournament, they are joined by a major new asset. 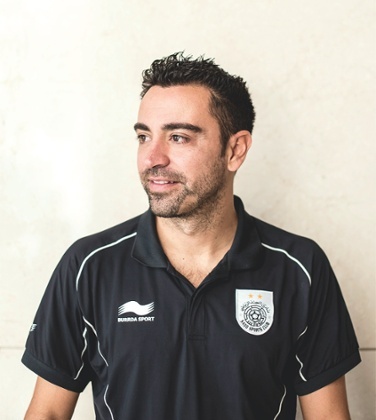 On the edge of the penalty box, offering tips on free-kick technique, is Xavi Hernández, one of the best midfielders ever to have played the game. Five months earlier, Xavi had lifted the European Cup in Berlin’s Olympic Stadium, as captain of Barcelona. It was the fourth time he had lifted the trophy, the final act of a staggeringly successful career that also saw him win the World Cup and European Championship (twice) with Spain. With his Barcelona and Spain midfield colleague Andrés Iniesta, he became the master of the quick passing, possession style of football known as tiki taka, transforming the game around the world. Now he has promised to coach Qatar all the way to 2022, as well as play for a club side, on a reported £7m-a-year contract. The young players can barely believe he is here, posing for selfies with him after training and picking his brains on technique as they walk to the dressing rooms. The following day, Xavi sits down in the lobby of Doha’s five-star Millennium hotel to reflect on his first two months in Qatar. He arrives alone, and is engaged and relaxed, enjoying, he says, the absence of pressure after a 25-year career at Barcelona. His wife, Núria Cunillera, is expecting their first child, a girl, in December, and his two brothers, sister and brother-in-law have all joined him. They are living in the compound previously occupied by Raúl, the former Spain captain who played in Qatar until last year. That evening, as the sun goes down, Xavi arrives at the Al-Ahli stadium to captain his club team, Al Sadd, in a Qatar Stars League match. In the car park, 20 minutes before kick-off, I spot a group of African men pulling on white gowns normally worn by Qatari nationals. They point to a queue of other men, already dressed in robes, who they say have been bussed to the ground after finishing their shifts on building sites or as security guards; they will earn an extra 30 riyals (£5.40) by posing as football fans. Around the corner, a thousand or so south Asian builders, many from one contractor, are escorted into another swath of seats behind a goal. They don’t have gowns and are not paid, but they have been given free tickets by the club. Asked about what looks like a lack of genuine fans, the league told me: “Our goal is not to fill a stadium with people who don’t want to be there. Our goal is to create a professional league with passionate fans, and in turn increase our attendance with people who really love football.” Ironically, in a survey carried out last year by the government, many Qataris cited “paid fans” as a factor that made them reluctant to attend games. One of the biggest questions facing Qatar – and international football – over the next seven years is whether the game can ever transcend the idea that cash is king. Qataris have the money; now they have to discover some soul in their professed passion for the game. With the demographics stacked against finding many real stars, and a climate and culture that doesn’t encourage participation or attendance, that looks tough. If they fail, the fear is that the high point of the sporting lives of players such as Muhannad, Ahmed and Musaab will also be a nadir in international football’s reputation, as a sport overtaken by money and power games. As kick-off at the Al-Ahli stadium approaches, a rust-coloured moon rises in the sky and a few rich Qataris in immaculate robes settle into their air-conditioned executive boxes. In the bleachers, busloads of uniformed primary school children wave home team flags handed out by the club, and the rented fans file in. By the halfway line, a group of Al Sadd fans with pipes, drums and megaphone maintain steady chants. A steward tells me some of them have been paid up to 100 riyals each to create some atmosphere. They are doing a good job. Four minutes into the match, Al Sadd piece together a sweeping move for Xavi to score with his right foot from close to the penalty spot. He smiles broadly as he wheels away in celebration and several thousand fans salute him – many fake, some of them real. It is a fitting image: Qatar has paid for everything, from the superstar scoring the goal to the fans cheering him on.